Before you can start your career as a semi truck driver in Oregon, you must first earn your commercial driver’s license or CDL from the state’s DMV. 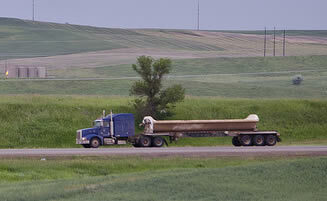 Obtaining a CDL mainly involves passing the written exam and the road test. Getting enough practical experience and reading the CDL manual are key elements in passing these two. All CDL applicants must be at least 18 years old to drive within the state. Applicants who wish to obtain an interstate CDL must be 21 years or older. Federal regulations also require applicants to be physically fit and have good vision to get a DOT medical certificate. You’ll need to submit this certificate along with supporting documents when you apply for your license. All applicants must take the General Knowledge Test. Additional tests will be given for each endorsement an applicant is trying to get on top of his/her trucking license. Reading the Oregon CDL Manual will help make passing the tests easier because it contains important information that will be covered during the tests. Applicants who pass the written exams will be issued a temporary license permit. This permit will allow its holder to drive a truck while under the supervision of a licensed driver. The permit is only valid for a few months. When they feel that they are ready, applicants must visit their local DMV and schedule for their road test. 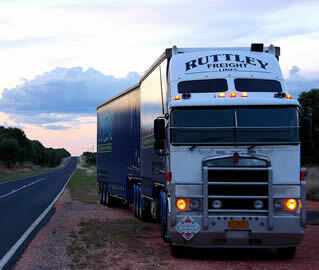 The road test is comprised of a pre-trip inspection, basic skills exam, and actual road test. Applicants must pass all three parts to receive their CDL. Failing any part means starting from the beginning. Please use our contact form to submit additional CDL schools to this list. All submissions must be complete and include the full name, address and phone number for the business to be considered. To acquire an Oregon truck driving license, you will have to submit to the new government regulations which had been put into effect for national security and road safety purposes. There are now newer regulations which had been issued such as submitting to a criminal background check for those who are applying for a hazardous materials endorsement and doing a self-certification to the type of commercial driving that you will be performing. If you want to apply for an Oregon truck driving license, you must be at least 18 years old for an intrastate CDL and 21 years old if you will be driving interstate. You must study the Oregon CDL Manual which is available at any local driver licensing office as it contains a lot of important information that you need to understand about truck driving in the state. The manual contains instructions about truck driving, road signs, truck maintenance, and the parts where you will be tested on during the actual road test for your license. You should study the manual thoroughly in order to pass the written test which will be given before the road test. After studying the CDL manual, you can now proceed to the licensing office in order to schedule for the written test. You will need to submit several documents for the application process: a properly filled out application form, birth certificate, valid identification such as a passport, proof of residence or alien status, your social security number or card, and your current driver’s license. You must have a clean driving record for the past two years, not getting involved in any serious traffic violation or crime which may lead to the cancellation of your application. It must not have been suspended or revoked for any reason at all. You will also need to undergo a visual and medical exam. The visual examination will require a visual acuity of 20/40 and a visual range of 140 degrees for both of your eyes. The medical certification on the other hand, will have to be conducted by a DOT accredited medical professional and the certification should be done on the form provided especially for this purpose. If you pass the written and the medical exams, you will then be provided with a learner’s permit where you will be allowed to drive a truck as long as you are accompanied by a licensed individual. The permit is valid for a few months so make sure that you learn everything that you have to learn within this period. Before the permit expires, you must be able to schedule for the road test where you will be tested on your practical skills. The test includes a pre-trip inspection, basic driving skills, and driving in actual traffic where you will be assessed on how well you are able to execute such tasks. If you pass this final test, you will then be given an Oregon truck driving license which is valid for 4 years, after paying the necessary fees. Visit this page for help finding truck driving schools in OR if you are in need of training as assistance with passing the license exams. Schools generally can be completed within several weeks and many offer job placement programs for their graduates. To learn more about state license requirements take a look at the state DMV website and the CDL manual listed below.